Planning a trip to Halkidiki? After exploring this region in Northern Greece, which is one of Greece’s best-kept secrets, I have eight travel tips for Halkidiki to share. 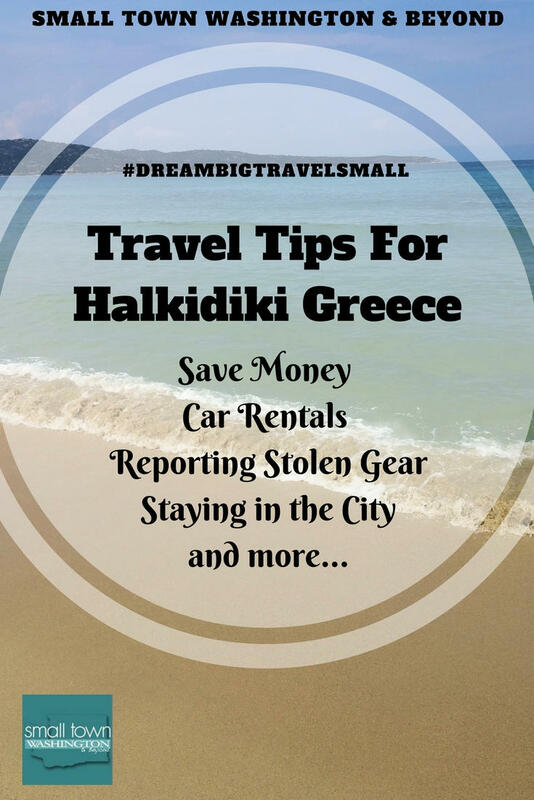 They include tips on saving money, tips for reporting stolen goods, tips for a day at the beach, tips for getting to and from the airport, tips for exploring Thessaloniki, and much more. 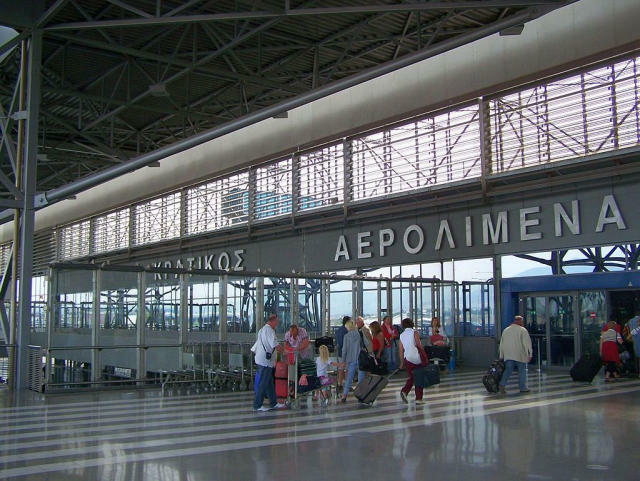 My first travel tip for Halkidiki is to fly into Thessaloniki Airport for convenience sake and because it is a small airport. You pretty much walk off the plane, pick up your luggage, and you are ready to start your vacation. If you are flying into Athens and then driving to Halkidiki, it will take around six hours if you don’t make any stops along the way. Halkidiki is a place you will want a rental car as there is so much to explore. 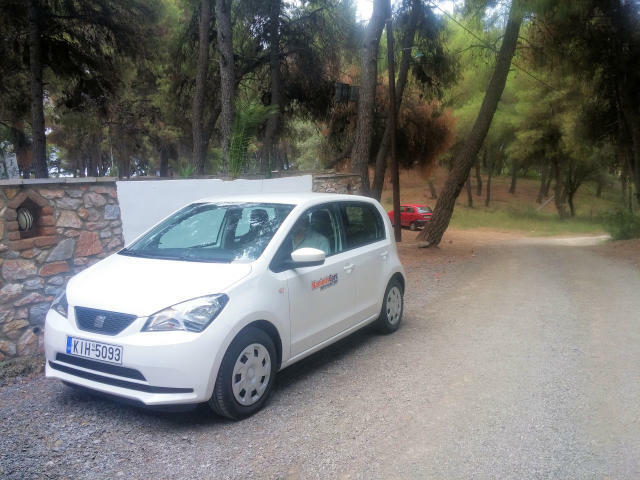 We used Haniotis Cars which has been operating for over 25 years in Halkidiki. We found them to be very personable and reliable. As an example, our car was broken into at the beach (see below for how to report stolen goods), and somehow they jammed the door locks so we could not use the key properly. The very next morning, a Haniotis driver met us at our hotel with a replacement car! They have a wide range of vehicles depending on your needs, and one of the perks is if you rent the car for two days or more, there is no mileage limit. If you plan to spend time in Thessaloniki first, wait to get your rental car as parking in the city is difficult and pricey. Plus, it’s much easier to walk, and taxis are available if needed. If you plan to spend a few days in Thessaloniki, I highly recommend using Welcome Pickups to get to and from your hotel and the airport. This service costs the same price as the hotel (around €25). They have friendly English-speaking drivers who on-time and love sharing the highlights of their city. They also have extras like tickets for attractions, Sim Cards, WiFi hotspots, and more that make your vacation hassle-free. 2 – Travel Souvenir – What to Bring Home? I’m a lover of food, so when I go to a new country, I always think about what food I can bring home to share with friends and family. 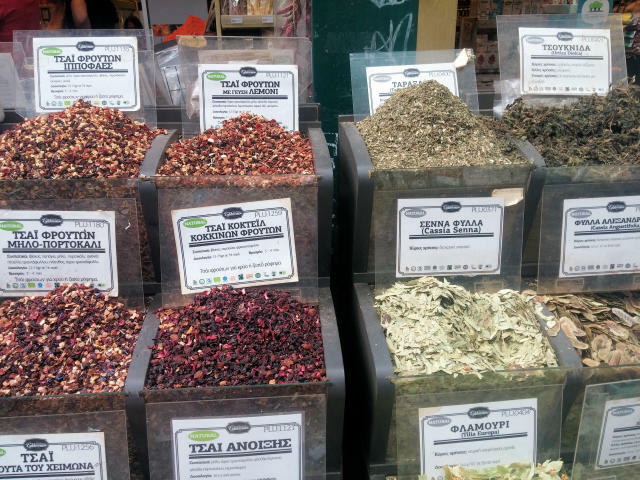 Top foodie items from Halkidiki are honey, olives, wine, ouzo, and spices. Not wanting to travel with any liquids, we decided to bring home a ton of olives. We purchased these the day we left, so we didn’t have to lug them around. If you are into fashion, you’ll want to check out their handmade sandals, jewelry, and of course, items with the iconic evil eye. Resort towns and elevated prices seem to go hand in hand, especially for alcohol. Many of the resort towns we visited, also had beach bars associated with beach seating, which meant you had to purchase something to use the chairs. If you are on a budget, we discovered that many of the small mom and pop grocery type stores tucked within the beach resort areas sold items at a budget-friendly price. To save money purchase wine, beer or snacks here and then lay out in an area not associated with a bar or restaurant. 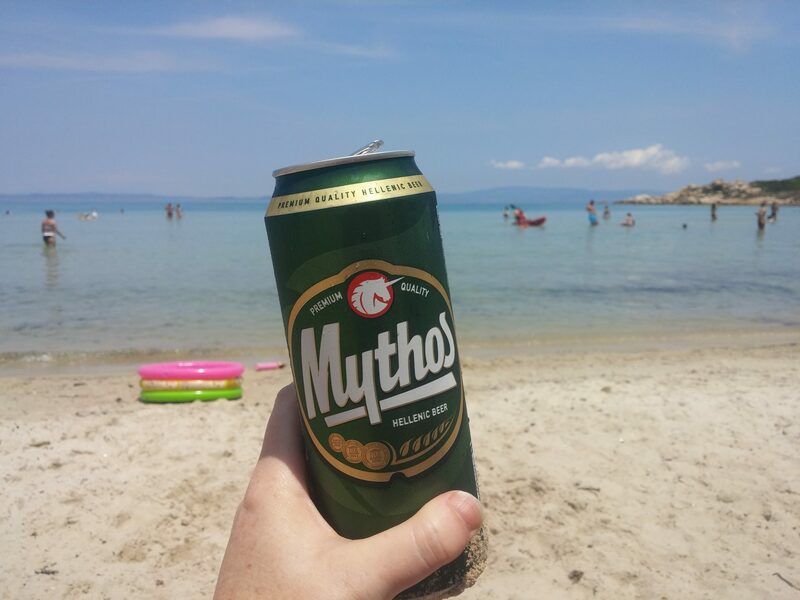 If you buy local items, such as Mythos or Alfa beer, it will also be more economical (around €2). Another noteworthy travel tip is that it is worth walking along the beach front and comparing prices for drinks as we did find a few that didn’t have super raised prices. Some of the more isolated public beaches also had food trucks that sold snacks and drinks. We found most to have decent prices. The best place to buy water is at the grocery store, and it could mean as much as a €5 difference. The savings also spreads to beer, wine, and snacks. If you want to stock up your hotel room or your beach cooler with some goodies, stop at the local grocery store. One of the highlights of visiting Halkidiki is all the beaches. Having been to beach resorts in the US, Mexico, and the South Pacific, I expected hotels to provide beach or pool towels for their guests. This was not the case. Some didn’t have towels, and at others, you could secure a towel with a credit card deposit. Not wanting to worry about losing a rented towel, we opted to buy beach towels. They range in size and price, and a traditional size will cost around €10. We decided to count these as one of our souvenirs. 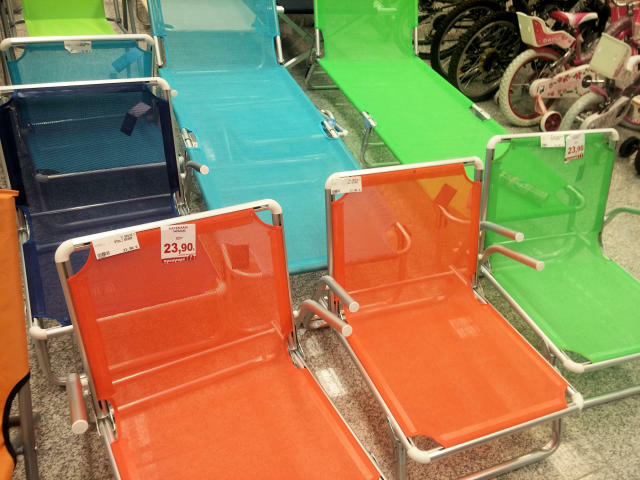 If you plan to spend lots of time at the beach, and mostly at public beaches, you might want to consider purchasing beach chairs (€24) and a small cooler (€10). One of the highlights of a Halkidiki beach experience is the donut vendors! They magically appear after lunchtime with trays full of donuts. You would think a donut on the beach is the last thing you’d want, but when you see the large sugar-coated pastries you’ll hop right on board. Be sure to have change on hand (€2 per donut). My joke about Greece is that no one is in a hurry until they get on the road. Ha! So, be prepared for some fast drivers. Overall, the main roads and highways are in great condition. Even most of the backroads while rugged, are well maintained. We used our phone for directions, and it worked the majority of the time. It didn’t always give us directions by the names of the towns, but by direction such as east, west, north, south. And, if you plan to drive in Thessaloniki, prepare yourself for traffic and some white-knuckle driving. 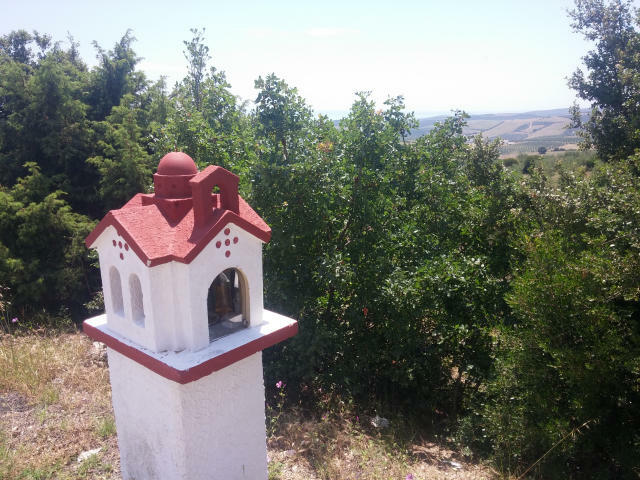 One thing you are sure to notice is all the roadside shrines. They are everywhere! Some shrines are newer and may have come about from a traffic accident. For others, the shrine’s housing itself may be new, but it’s location and significance go way back. Another reason not to speed – goats on the road! If you plan to explore the mountains and backroads, be aware that goats might be using the road too. We came across a herd while driving the more rugged side of Sithonia. I’m a huge fan of traveling in the offseason. While it has its perks, such as fewer crowds and less expensive accommodations, it also means that attractions, museums, and restaurants may have limited hours or be closed. If you are unsure if a spot is open, inquire with hotel staff as they might know, or help you find out. We ended up going to the Temple of Ammon Zeus twice because we went during a weekday and it was closed. The staff at our hotel gave them a call and found out all the information we needed to visit on the weekend. Unfortunately, we had our car broken into during our travels. They stole my camera, my camera bag, prescription glasses, some money and a few other odds and ends. Thankfully, I had travel insurance. If you find yourself in the same situation, the best thing is to take a deep breath and not let it ruin your vacation. 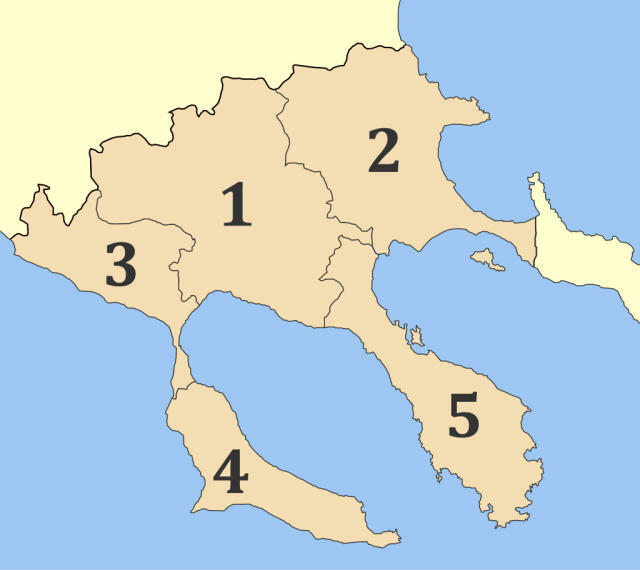 For reporting stolen goods, it’s important to know that Halkidiki is broken up into regions and you’ll need to go to the main police station in that region. If you are unsure of what town the police station is in, ask the front desk at your lodging, and they should be able to direct you. From there, you can input that into your phone’s navigation. Once in town, there are also wayfinding signs for the police station. Another aspect of filing a report is that they will need an interpreter handy to tell you what the report says, as it is all in Greek, and to ensure its accuracy. If a translator has to come in from another town, this could take a while, and you’ll need to gather all the patience you can muster. I hope you found these travel tips for Halkidiki helpful. 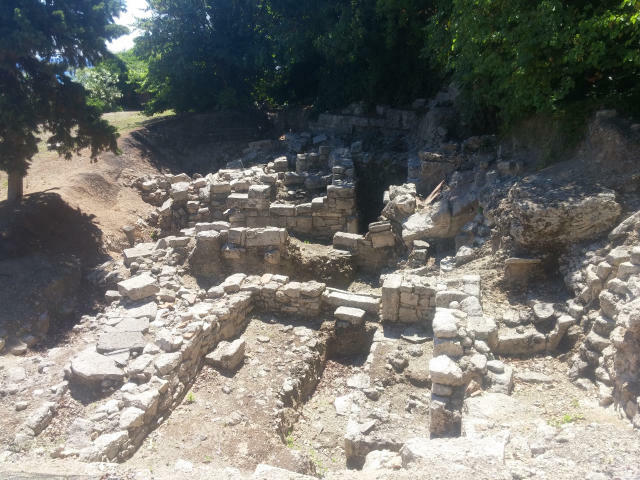 To find out more about this part of Greece go to Visit Halkidiki. Carmen, Drinks on the beach are the best! Great travel tips. I just wish somebody told me about Haldiki when we were in Thessaloniki. 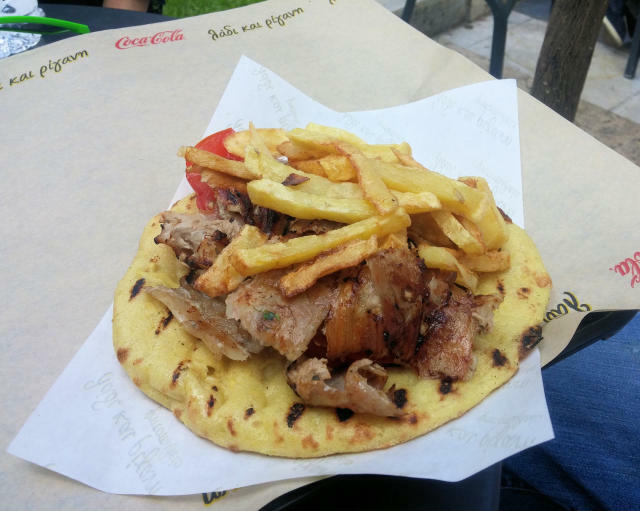 And I agree, food in Thessaloniki is awesome! Carol, Hopefully, you’ll find yourself there on one of your many travel trips! I love Greece so much! I haven’t been to this destination but I’ll love to. Love all of your tips! Katie, The donut vendors were totally unexpected and so appreciated! Never been to Greece but this sounds like a wonderful area to travel to I enjoyed your tips and especially the part about the goats on the road . 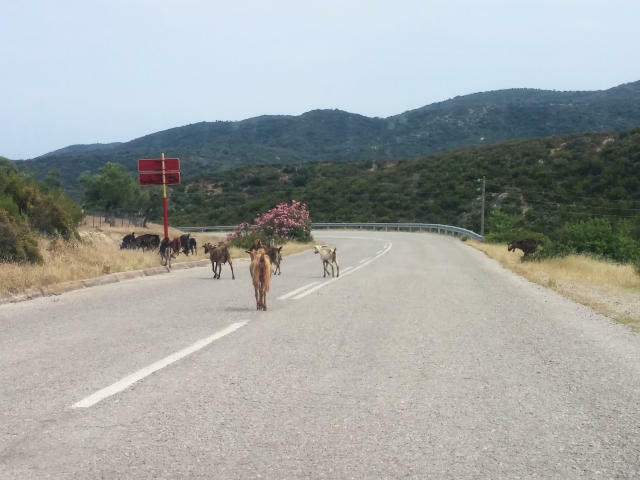 Cindy, While I was used to sheep on Irish roads, I wasn’t expecting goats on the road in Greece. Glad you found the helpful. I hope your travels take you to Greece soon! I love traveling to small towns. I wish I had seen this before my trip to Greece a few years ago! Pinned for future reference, thank you! Shannon, I hope your travels take you back and you get to check Halkidiki out! So many great tips for this type of trip. Donuts on the beach? I want one. Love all the foodie souvenir suggestions. Really sorry you got broken into your rental car. Seems you handled it well and did not let it ruin the trip. Evelyne, Thanks so much for commenting! Having our car broken into was quite an experience. Glad I had travel insurance! Wow – those olives look incredible. What an awesome thing to bring back. I can only imagine how tasty they would be …. we are going on a cruise to Greece this summer, so I’m wondering how the prices are now. A few years ago, it was quite cheap. But we rented a sailing boat and did all our shopping in the supermarket. From time to time we had a beer or wine in a bar. Shere, I wasn’t sure what to expect price wise and was surprised at how affordable it was. The grocery store was, of course, the best choice for cheaper eats, but dining out, especially away from the resort areas, was easy on the pocket. You had me at donuts on the beach!!! Aha, I would love that! I’ve never been to Greece but these are really helpful tips for anyone planning a trip, buying your own beach chair is a great idea if you’re going to be there for more than a day or two. Katie, Gotta love a donut on the beach. 🙂 We decided if we go back, we’ll make it easy on ourselves and by beach chairs and a cooler. Darn, I want that pita/meat sandwich with the fries right now! LOL Definitely a cool place to check out the next time I’m in Greece. Great tips on saving money! The convenience store is always a good place to stop by. We recently visited Costa Rica and bought most of the snacks, drinks, and souvenirs from there! It’s so much cheaper. I would so love to visit. Sorry to hear about the theft though I appreciated your emotionally wise response and tips for taking care of business if it happens. Greece is calling me, nevertheless. Elaine, It was such a bummer to lose all those pictures, but as a traveler, you’ve got to expect some hiccups. I think Greece is calling you too! Those donut vendors sound so exciting! 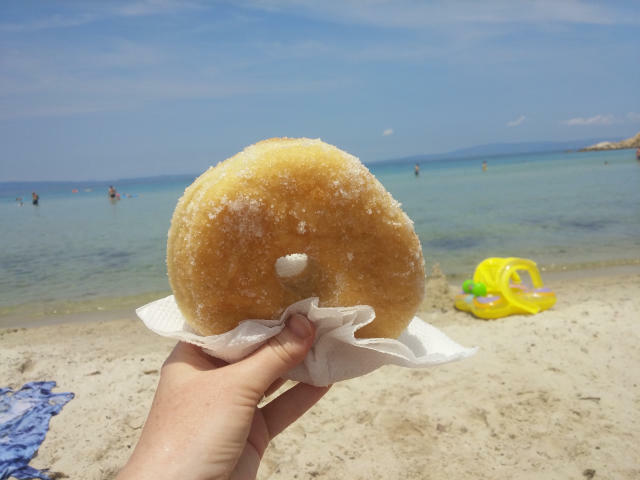 I would love to enjoy one of those donuts on the beach 🙂 And also, great tip about the rental car – the best way to get around – on your own terms 🙂 My favourite part about Greece was definitely the food. I don’t think I’d ever tire of a place like this! Allie, Food in Greece is so amazing! The feta cheese we get in the US just isn’t the same.